Identity theft and cybercrime are putting more and more people in danger, especially residents of the US. For this reason, most people opt for a free credit monitoring service hoping that it will be enough to protect them from hackers and fraudsters. But the real truth is that this method is not too effective. On the other hand, a credit freeze is one of the services that are much more effective and yet, not many people use it. One reason for this is that placing a credit freeze is a radical step and can be particularly troublesome if you need to remove it often to show lenders your report. The other reason is that it costs money. But wait, we have a surprise for you ‒ credit freeze services are going to be free of charge starting later this year. Now, while you are still in a state of positive shock, read this article to find out more. 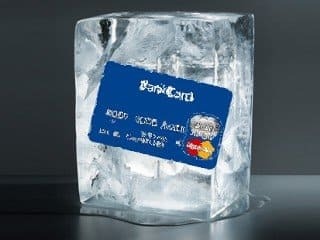 When Is Credit Freeze Going to Be Free of Charge? Remember the last year’s Equifax data breach? Even if you don’t, some of your closest ones probably do, since the breach affected almost half of the U.S. population. However, sometimes bad things lead to positive outcomes, though for victims of the breach, this might be too late. Anyway, on May 22, the U.S. House of Representatives passed a comprehensive bill which includes a credit freeze provision. The only thing that the bill awaits is President Trump’s signature and it should come into effect four months after it is signed. This provision on free credit freeze is the Congress’ response to the massive Equifax data breach which compromised sensitive information of almost 150 million people across the United States. In this breach, hackers illegally got access to names, social security numbers, birth dates and addresses of Equifax’s customers. The current price of a credit freeze ranges from $2 to $10, depending on the state where you live. However, some of the states have already made the credit freeze service free of charge. At the end of July 2017, Equifax discovered a data breach in their system that happened sometime between May and July the same year. People across the US, in particular Equifax customers, were furious and frightened at the same time, many of them falling victim to identity theft. In the meantime, Equifax issued statements of regret and promised that it would do all it took to fix the damage that the breach inflicted. And little by little, they introduced measures that improved the overall situation and relieved numerous people of stress and unnecessary frustration. The first thing they did was offer a year of free credit monitoring to all potential victims of the breach. However, it didn’t take them too long to realize that was far from enough to comfort all the infuriated customers. People were raging and Equifax had to take additional measures. What they did next was offer a free credit freeze to all customers who asked for it. This happened in September, which was almost two months after they had informed the public about the breach. The credit freeze service was free of charge for all people who applied for it by November 21. Also, Equifax refunded any fees that its customers had paid since the breach disclosure. And now, ten months after the breach was disclosed, the Congress signed the bill which includes the provision on the free credit freeze service. This means that all credit bureaus will have to comply with the legislation and do the same thing that Equifax did last September ‒ give a free credit freeze to everyone who asks for it. A credit freeze is a complete lock-down of your credit report. It prevents all major credit bureaus from sharing or selling your credit data to creditors. This means that you have to authorize new lenders if you want them to be able to see your credit report. Placing a freeze on your credit is definitely the best and most efficient way to protect your credit and sensitive information and thus prevent identity theft. However, the reason why it is so effective is because it’s radical. It prevents identity theft by making any fraudster unable to abuse your credit report since you have to authorize anyone who wants to access your credit report. As a result, this dramatically decreases the likelihood of identity theft. A credit freeze is very effective because only you can approve the opening of new accounts. Nobody can do it for you, and this is what makes a credit freeze the ultimate way to protect your credit. Credit inquiries (hard pulls) damage your credit score. With a credit freeze, inquiries will not be made when it is not necessary, so there is no need to worry about a drop in your credit score. And since there are more authorization layers, this is more than enough to block new credit pulls. In case you lose your wallet, identity thieves will not be able to abuse your sensitive information. A credit freeze ensures that you are the only person who has complete control over your identity as a borrower. Divorces can be tough, especially if your partner is looking for a way to destroy your credit. Again, since your partner has a lot of information about you, it is wise to place a credit freeze if you suspect they could do something that would wreck your credit. Other services have a limited duration (e.g. a fraud alert can last anywhere from six months to seven years), but there is usually no time restriction when it comes to a credit freeze. Once you place a credit freeze, in most cases it will remain on your credit report until you decide to lift it. You can lift a credit freeze temporarily in case you want to show your credit report to a prospective lender. On the other hand, you can remove a credit freeze for good if you don’t need your credit report to be protected anymore. It is important to note that you will need to remove the credit freeze in order to apply for credit, whether it is a credit card, mortgage, etc. To place a credit freeze, there are a few steps that you will need to take. Check your state’s listing for the cost of a credit freeze. Also, check if there is a price reduction for senior citizens. You can freeze your credit online, by certified mail ‒ return receipt requested, or by calling the credit bureau. To request a credit freeze by certified mail, you will need to use a sample letter. Note the attachments that you need to include. To temporarily unfreeze your credit report, call the bureau or do it online. Regardless of the state where you live, the new legislation will apply to freezing your credit, as well as temporarily lifting and permanently removing credit freezes. Also, note that you will need to place a credit freeze at all three major bureaus: TransUnion, Experian and Equifax. Once you freeze your credit report, you will receive a unique PIN, which you will need to use in order to place or remove the credit freeze. If you request your credit freeze by mail, credit bureaus will have to comply with your request within three days. However, if you want to place a credit freeze urgently, make the request via phone or online ‒ this way, the bureaus will have to do within one day. Finally, you should know that a credit freeze doesn’t apply to your current lines of credit, only to the new ones. Also, you will be relieved when we tell you that placing a credit freeze doesn’t affect your credit score. Even though freezing your credit is the best way to protect yourself from identity theft and to protect your credit score, there are other ways to make your credit report safe. Both a fraud alert and credit monitoring are useful protection methods, although they are less effective. A fraud alert marks your credit report and lets lenders know that there are potential fraud risks on your account. In other words, you tell lenders to stay away from your personal information and protect the information from being accessed on a regular basis because it has been compromised. On the other hand, credit monitoring is offered by many companies free of charge. This service allows you to have an insight into your credit report and be notified each time a suspicious activity is recognized on your account. Still, the best way to protect yourself from identity theft is to be careful to whom you release your sensitive information like social security number, credit card number, address, etc. If you are careful enough on a regular basis, you will significantly improve your chances of staying safe.